On the eve of celebrating the golden jubilee of the famous Punjab Agri College Lyllpur, later renamed asFaisalabad after the King Faisal of Saudi Arabia, a set of two stamps showing the building of the college were issued on 10th October. 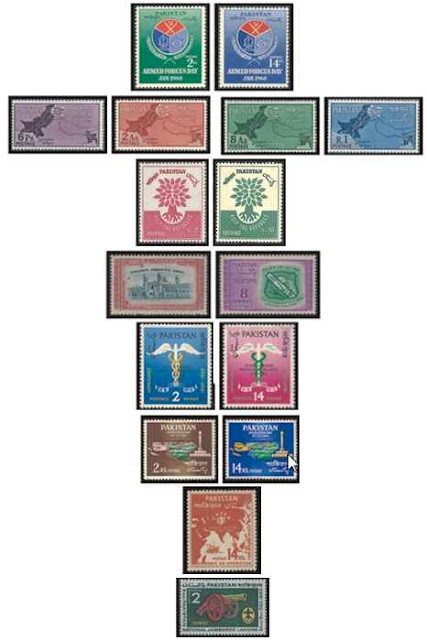 The blue and carmine red was for 2 Ana, while the blush green and red velvet coloured stamp was worth 8 Ana. 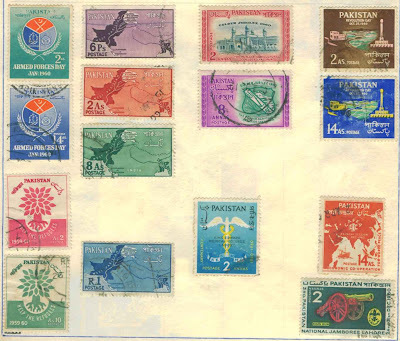 The last stamp of the year was issued on the eve of the Third Pakistan Boy Scouts National Jamboree on 24thDecember. The stamp with a green background valued 2 Ana bore the image of the famous Zamzamma gun which is now placed as the relic of the past in front of the Punjab University and the national College of Arts Lahore on the famous Mall Road. The gun is also knwn as the Kim’s Gun, after the famous British writer Rudyard Kipling who defying all rules of the then British government sat beside the gun and wrote his fascinating stories, and Bhangian de Tope (Bhangi’s gun) referring to the era when the gun was captured by the Sikhs and came under the possession of the Bhangi clan.